Employment is one of many possible outcome measures, but one that is typically used as an indicator for the ability to live independently, attain financial stability, and maintain a quality of life that is aligned with one’s goals. To meet national employment goals, federal initiatives, policies, and funding drive employment training, placement, and rehabilitation programs across the country. 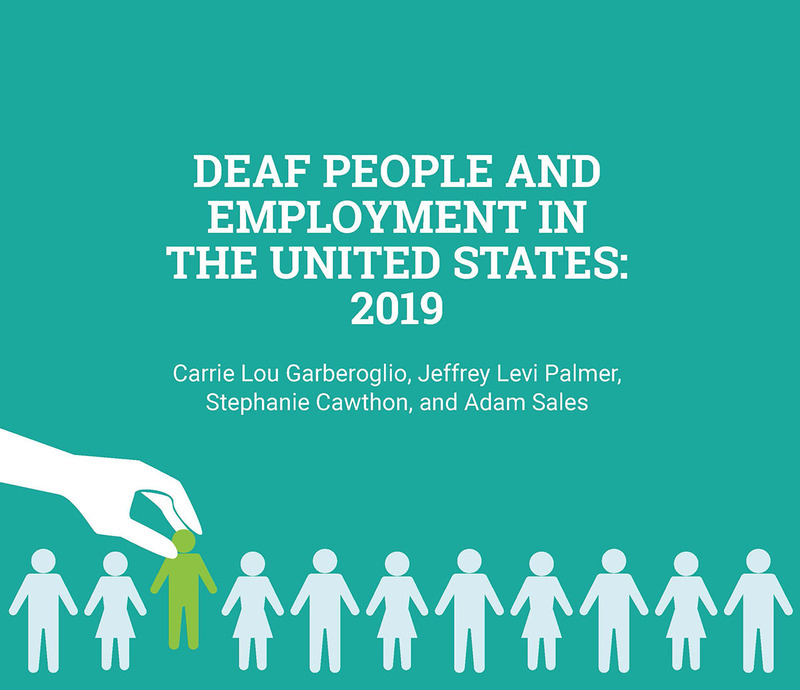 Despite positive postsecondary enrollment trends and improvements in legal policies surrounding access for deaf people, particularly through the Americans with Disabilities Act, employment gaps between deaf and hearing people continue to be significant. Employment experiences for deaf people are also qualitatively different than for hearing people in the United States in terms of earnings, part-time or full-time employment, opportunities for advancement over time, and the likelihood of being self-employed.